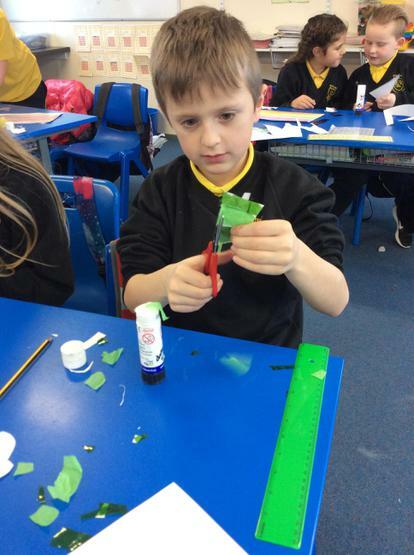 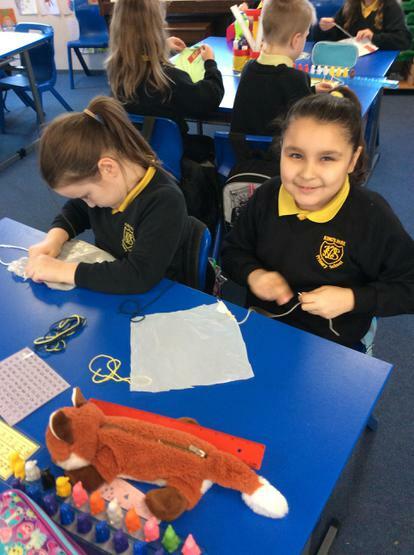 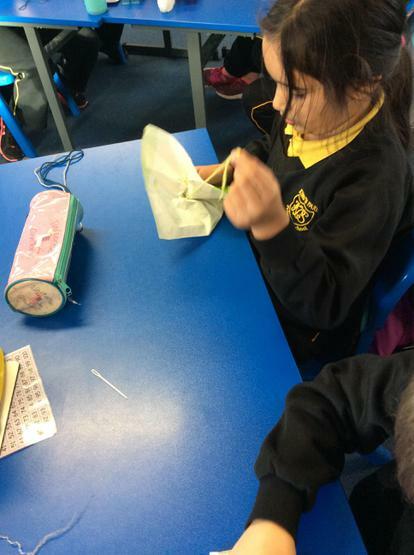 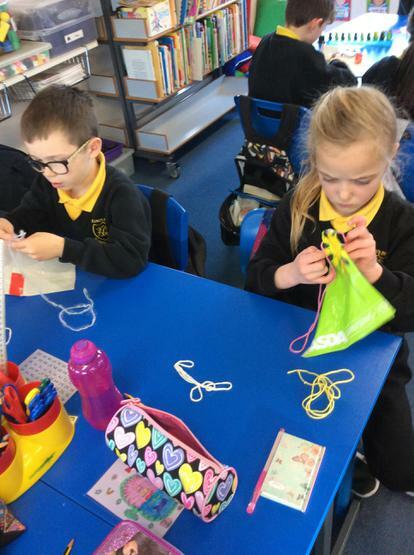 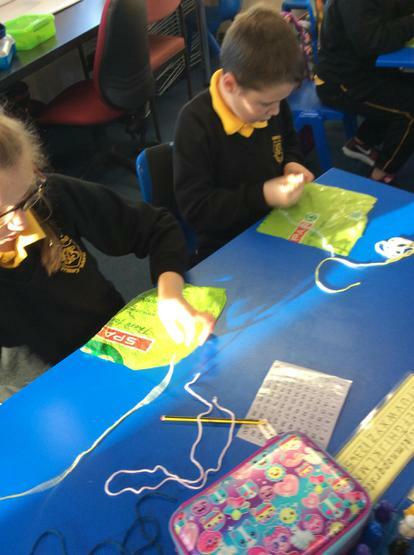 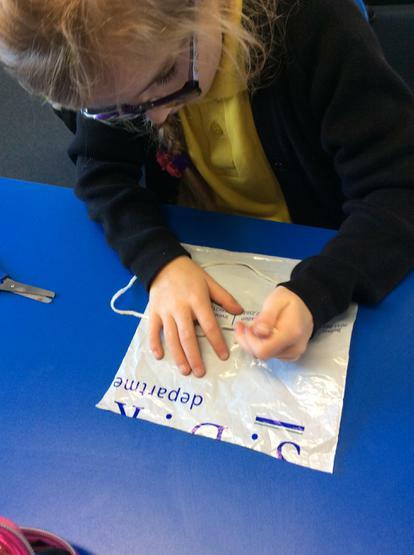 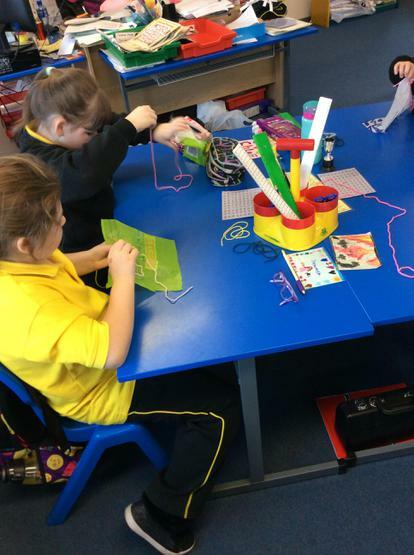 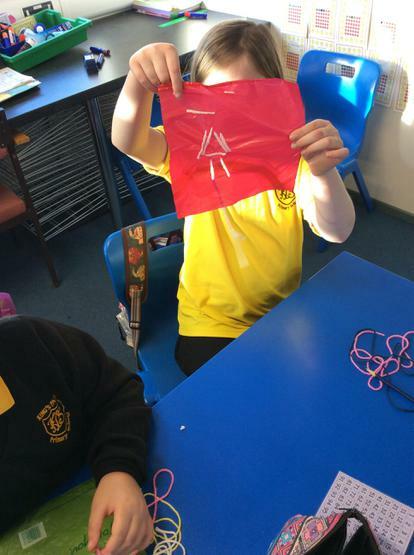 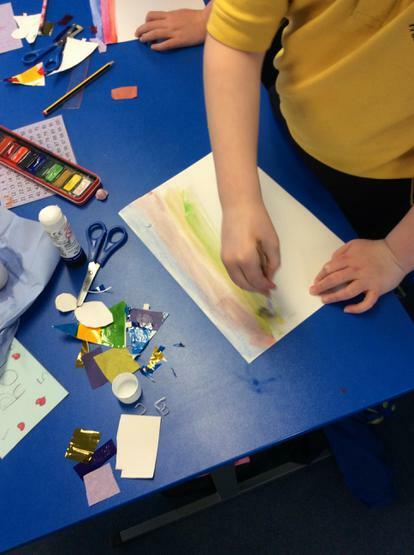 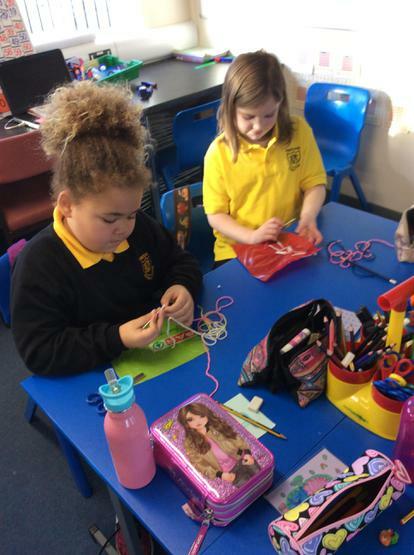 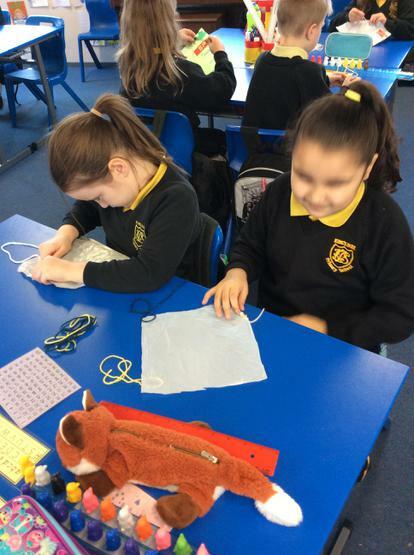 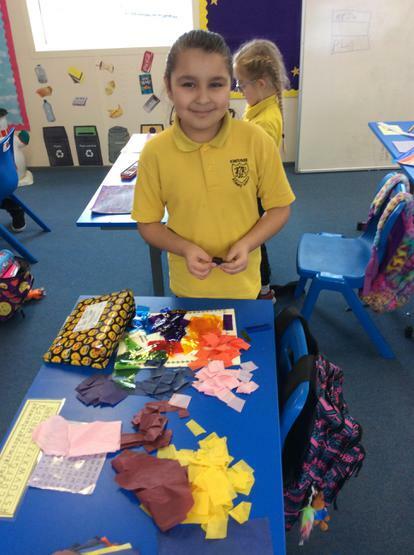 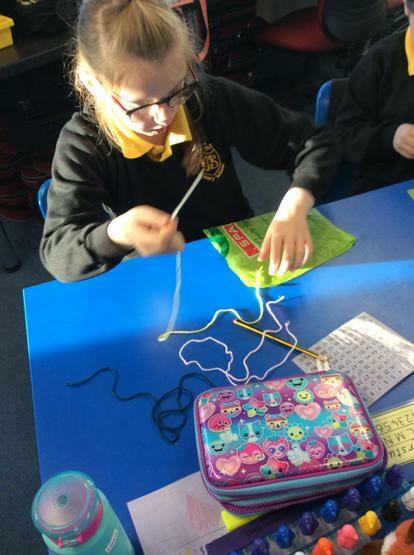 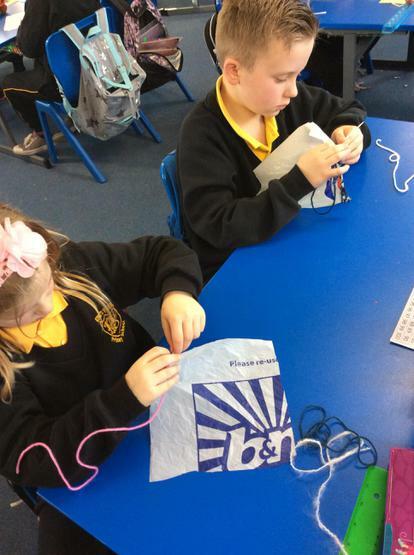 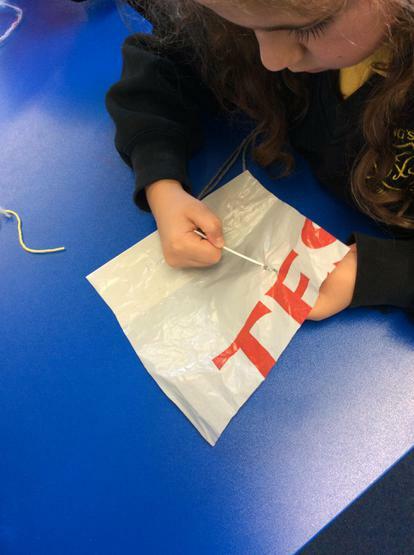 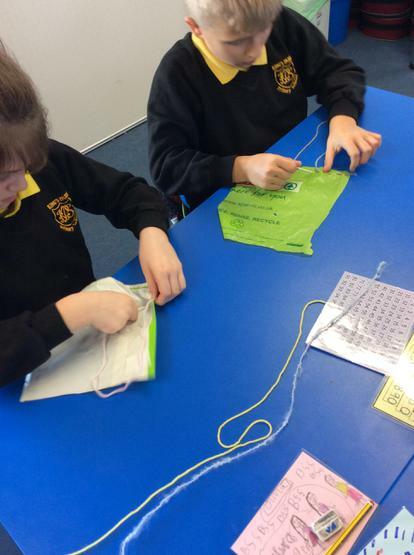 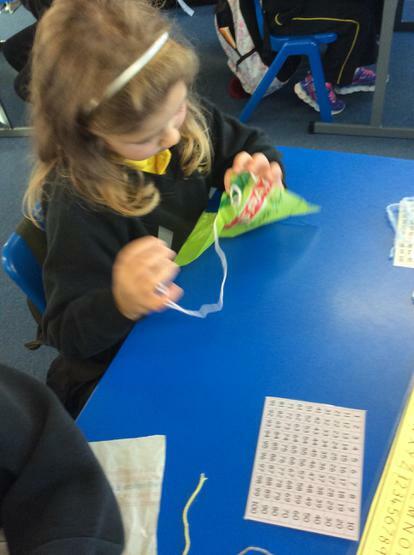 Litter Art- we sewed wool in a plastic bag to make a picture. 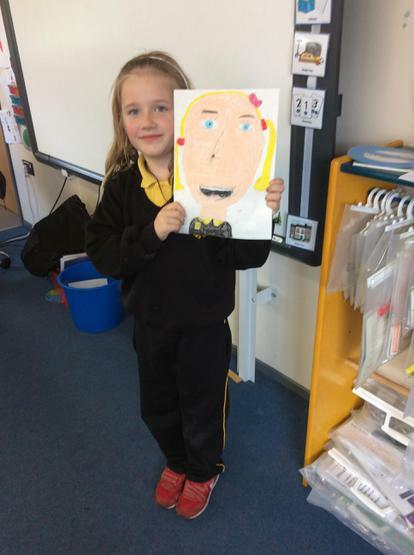 This was lots of fun! 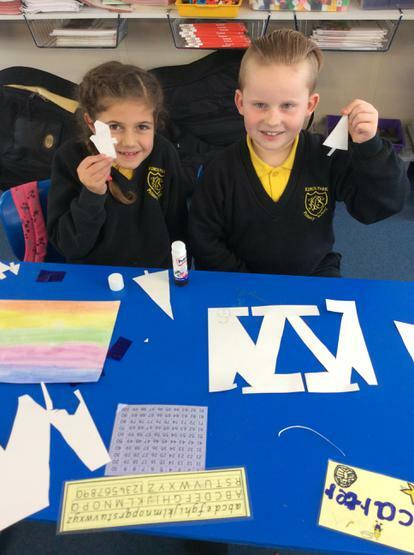 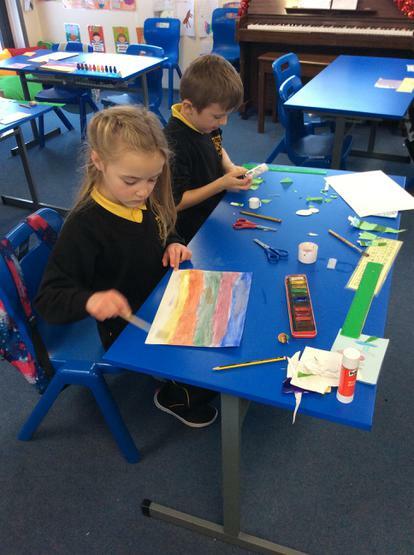 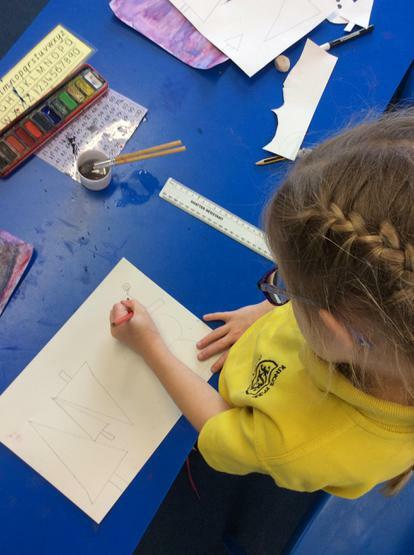 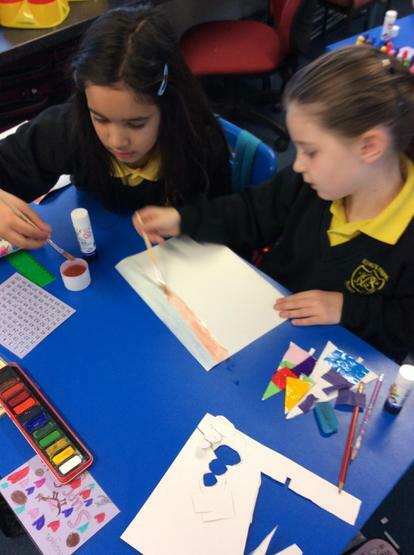 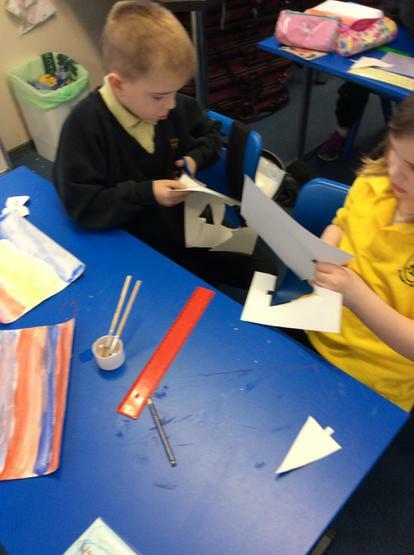 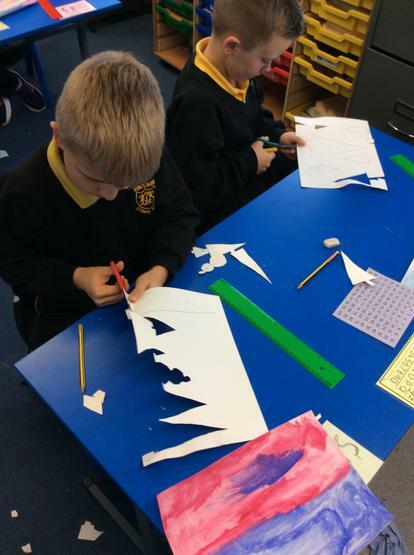 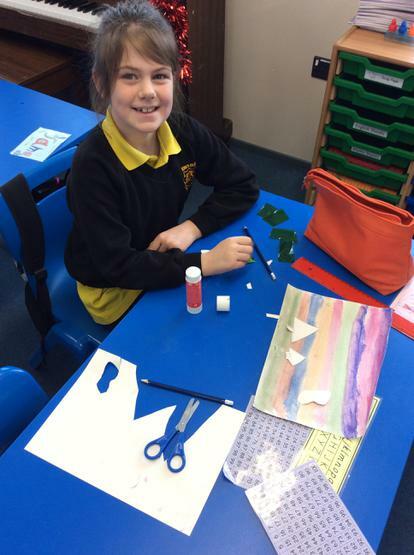 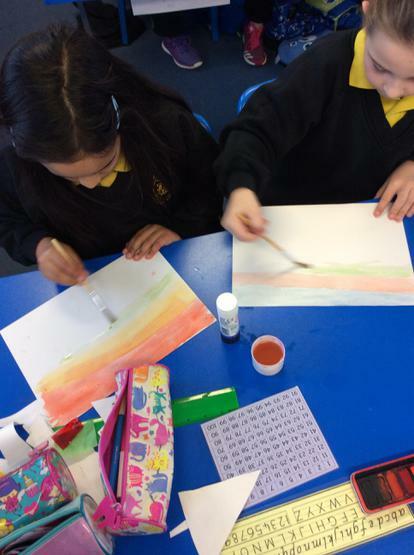 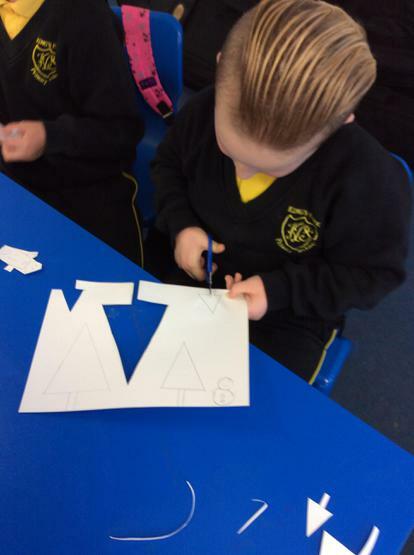 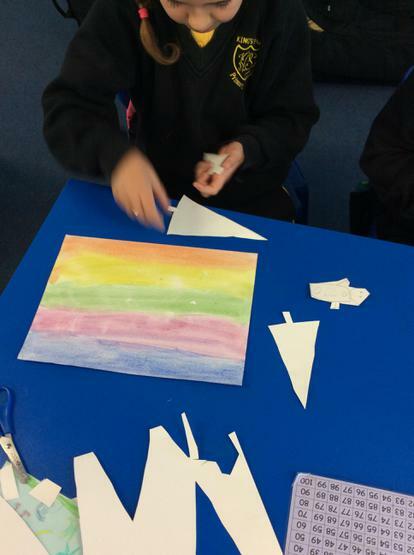 We enjoyed creating a winter picture using water colour paint for the background and card and tissue paper to make the trees and snowmen. 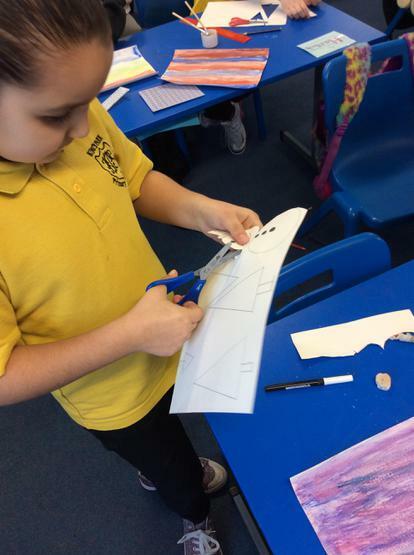 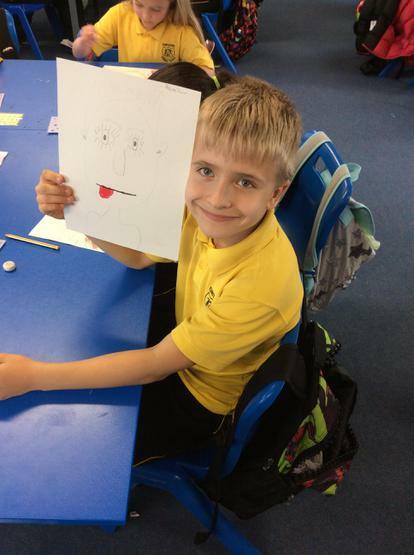 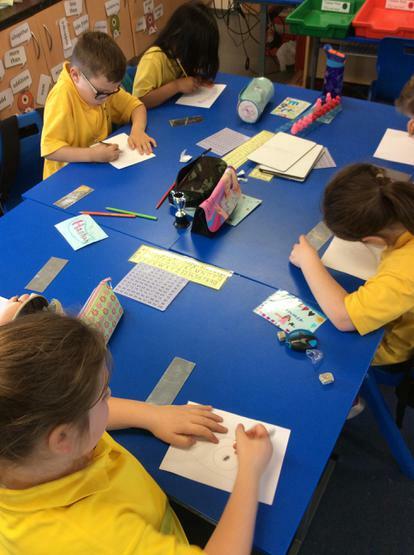 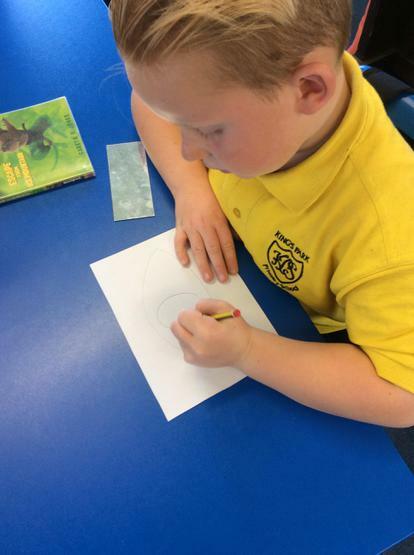 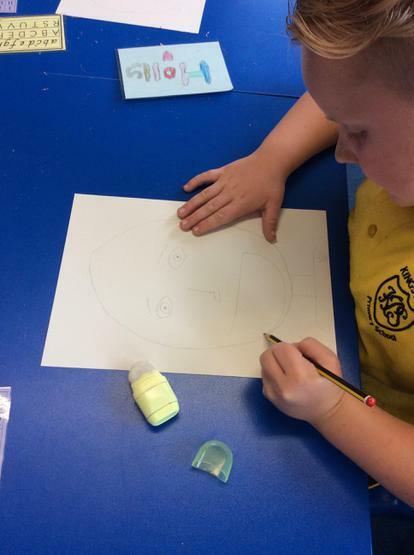 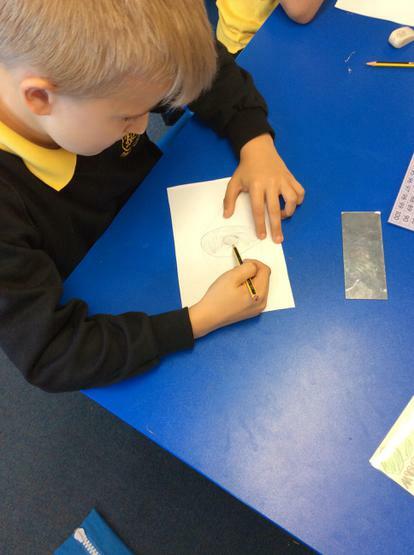 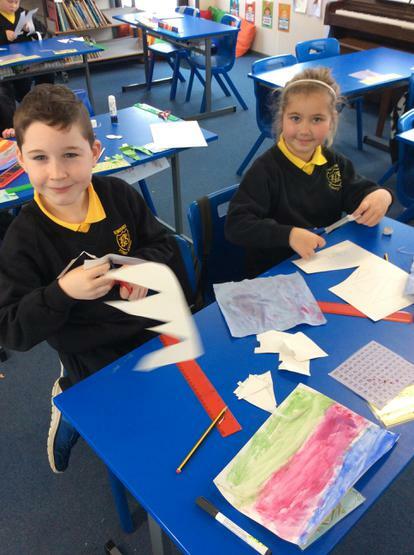 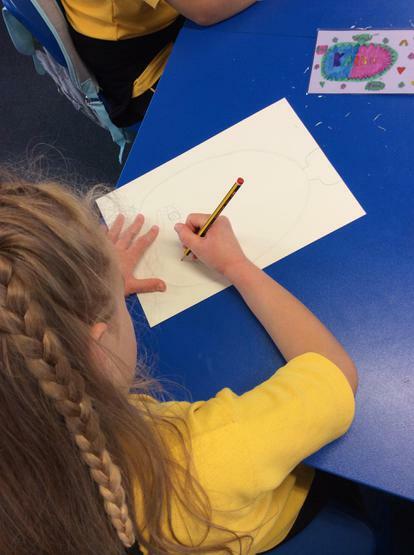 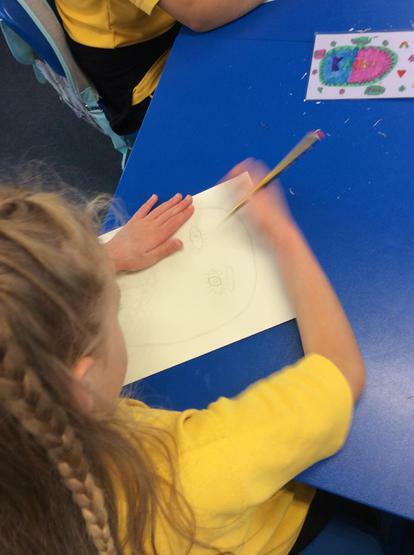 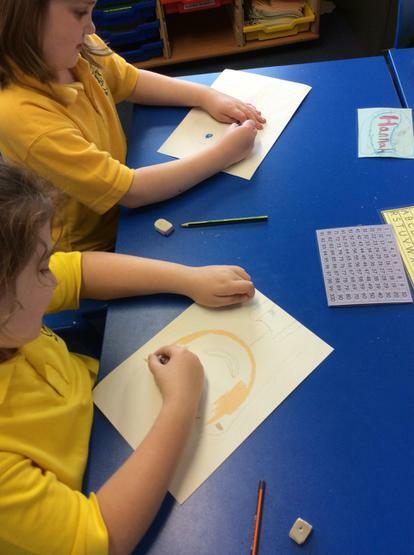 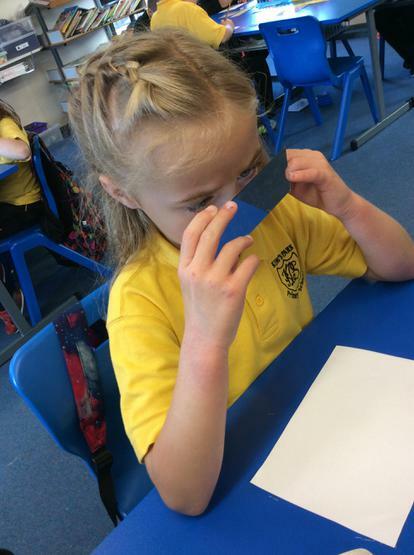 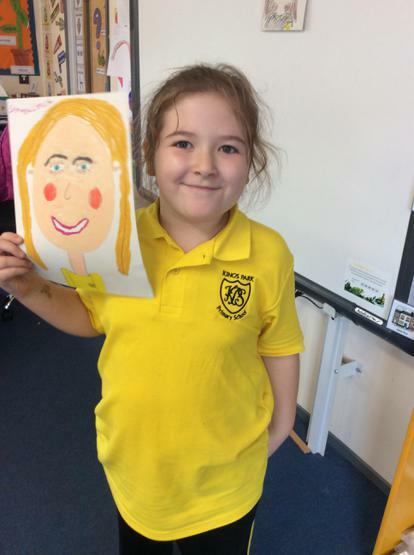 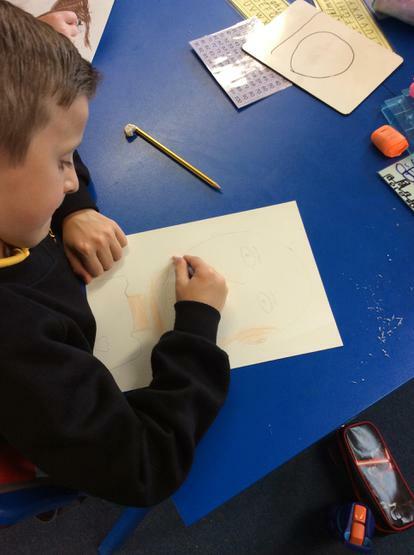 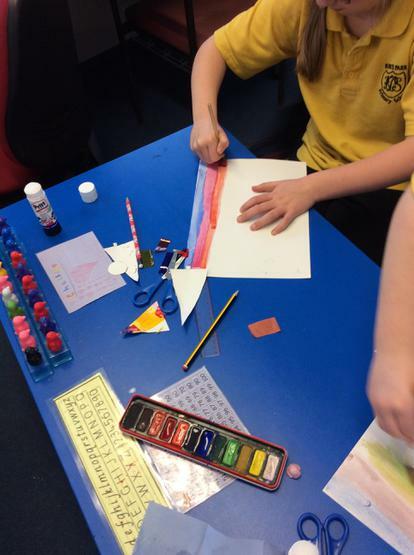 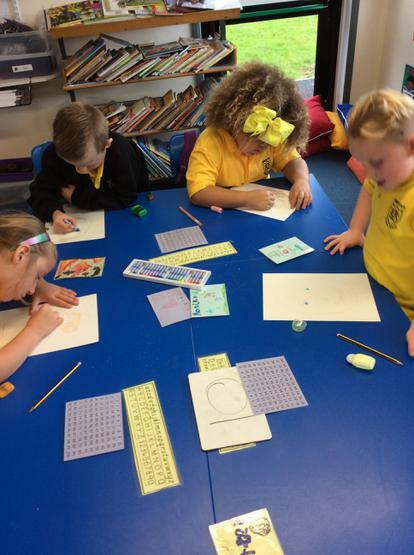 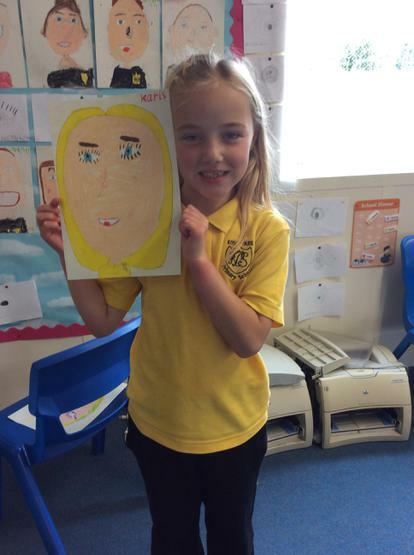 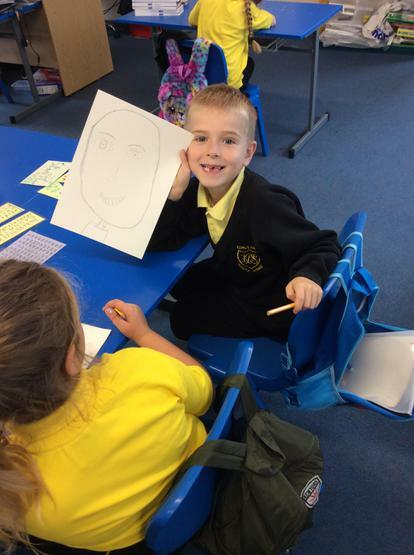 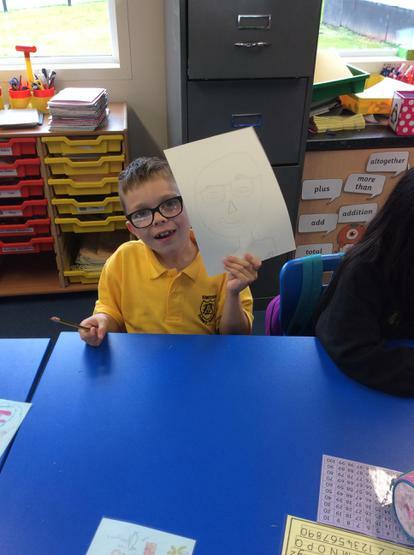 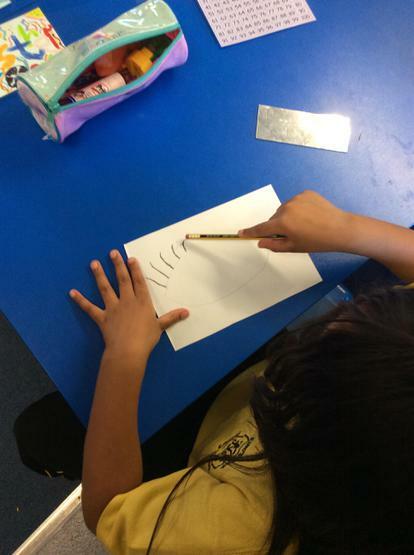 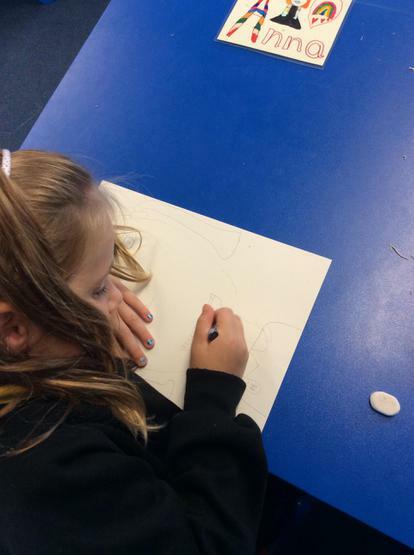 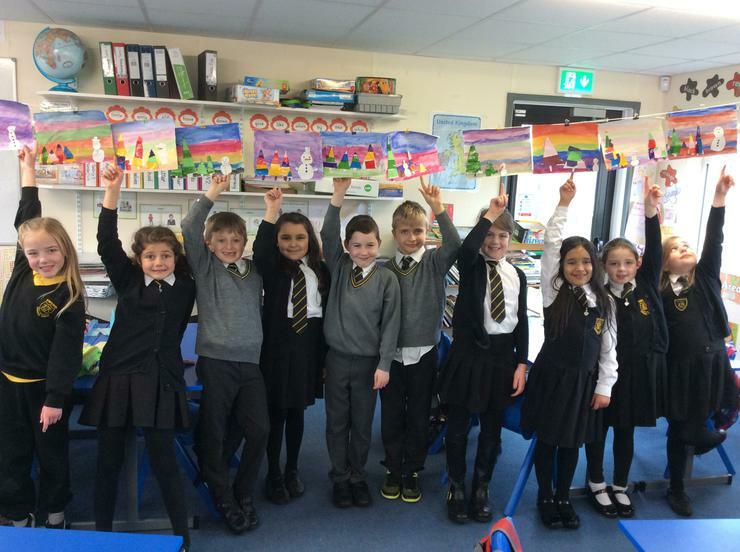 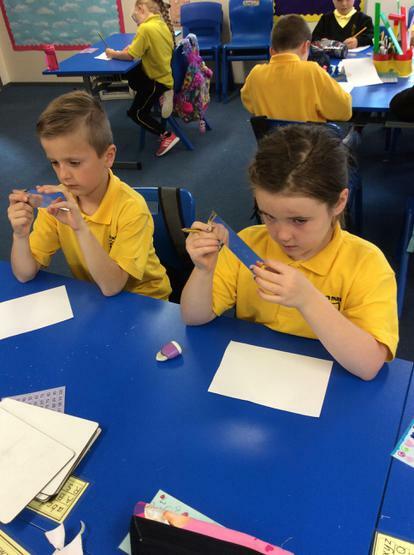 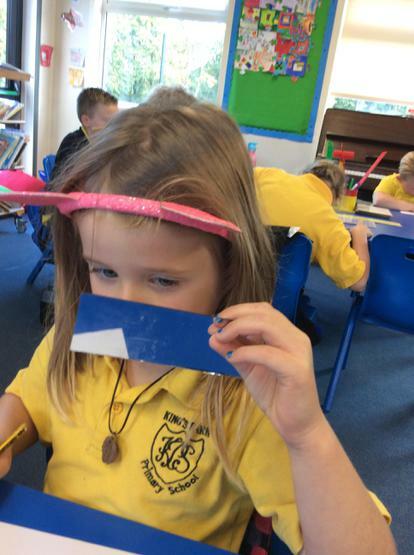 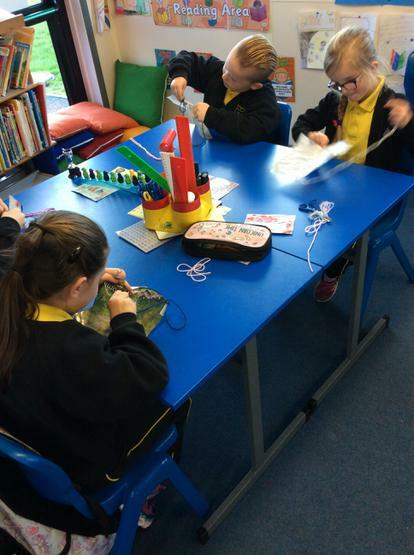 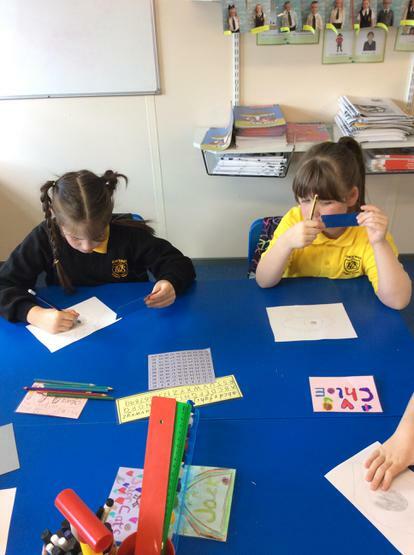 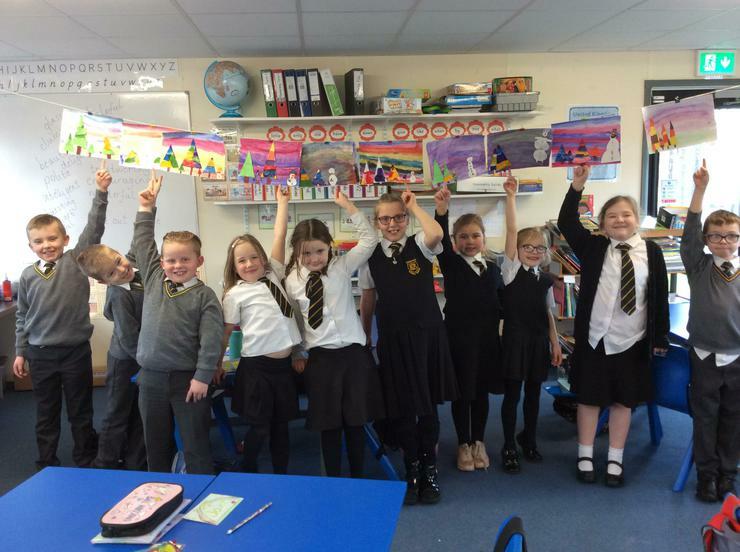 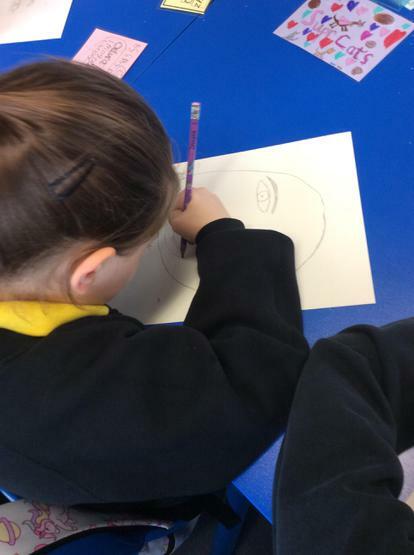 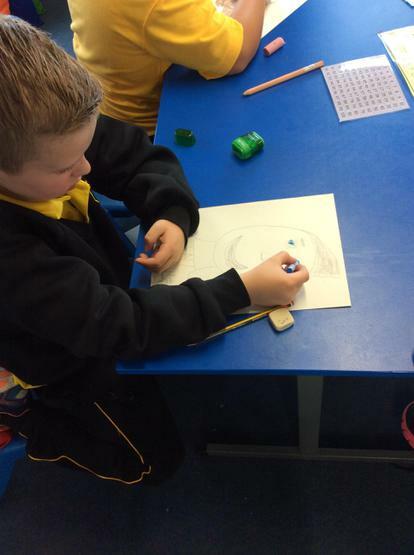 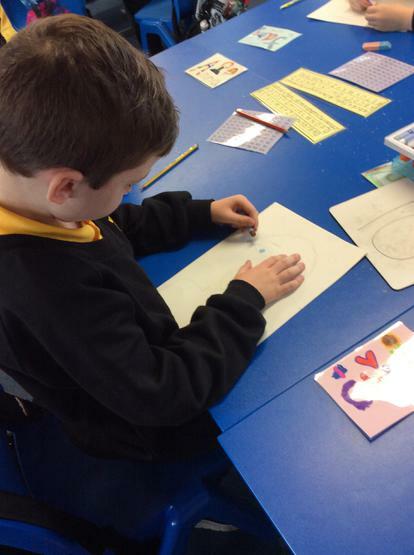 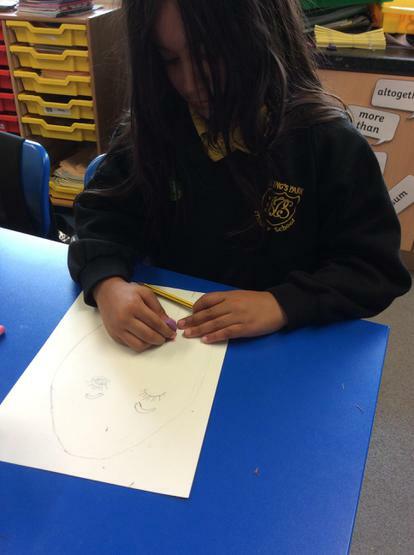 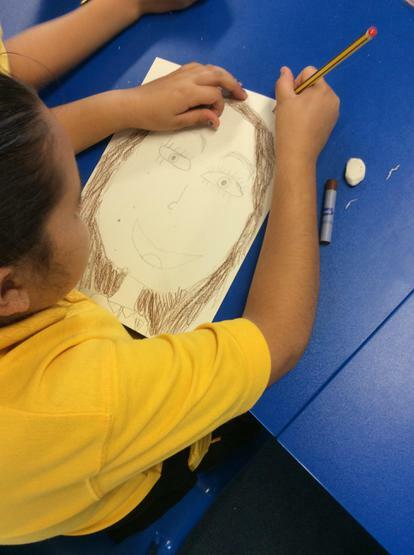 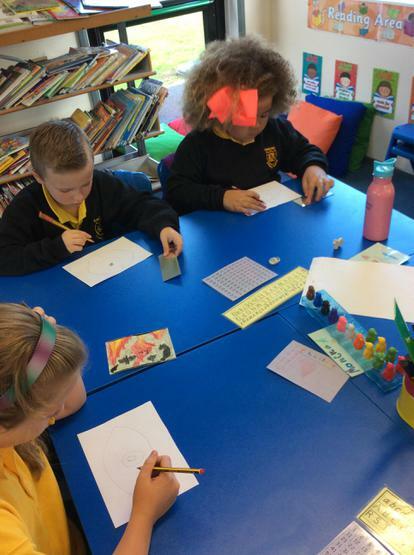 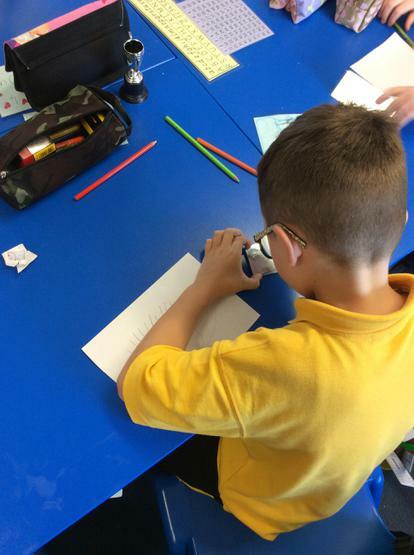 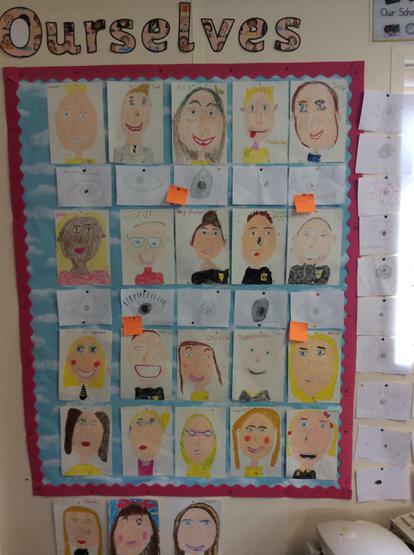 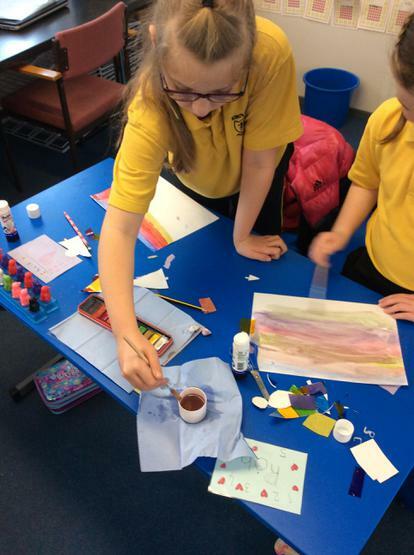 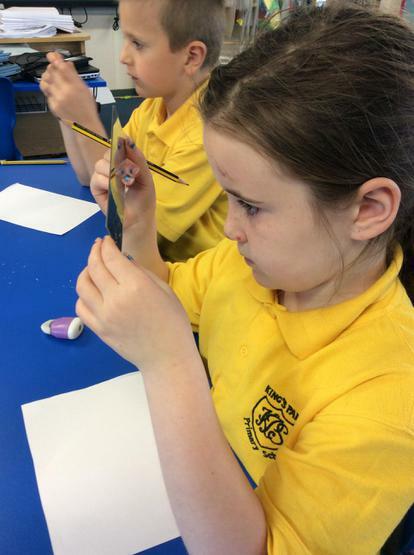 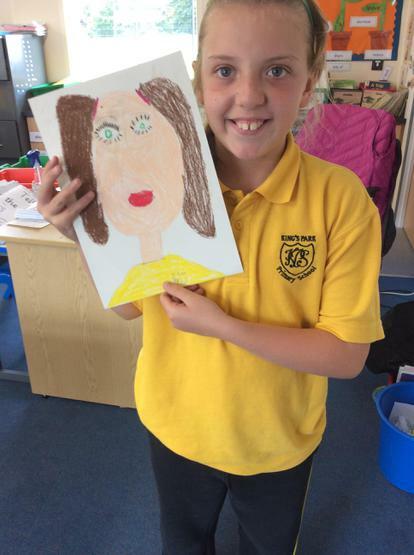 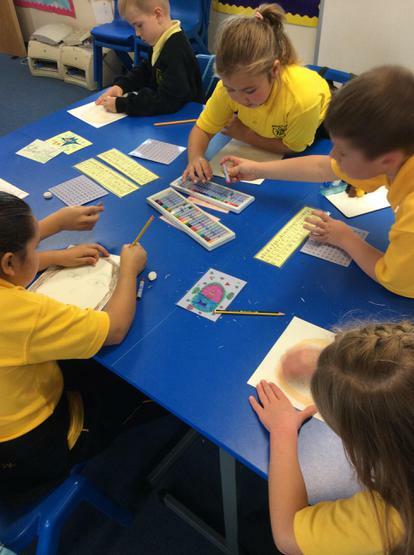 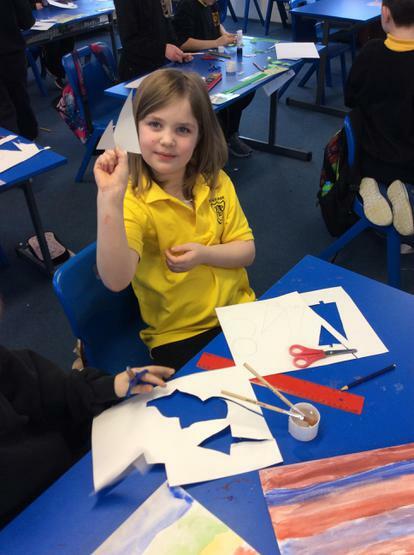 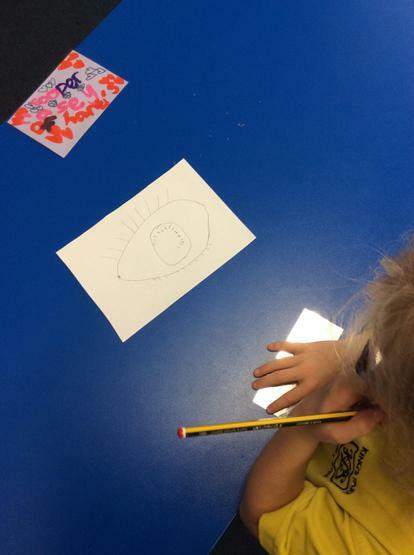 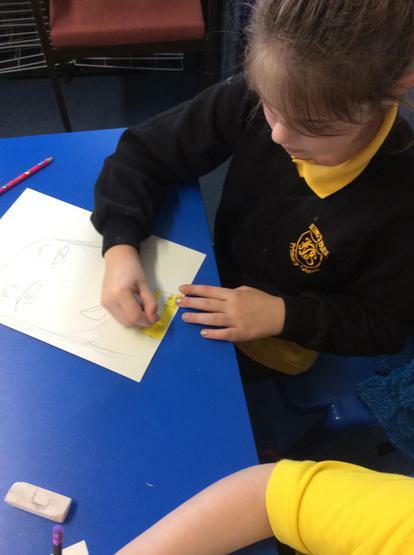 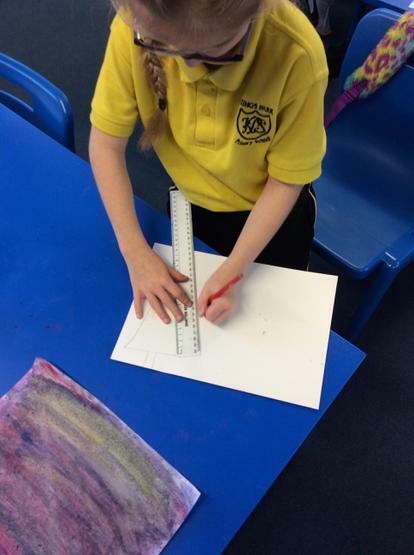 We have been learning about Ourselves in Primary 4 and Mrs McShane's class enjoyed studying and sketching our eyes. 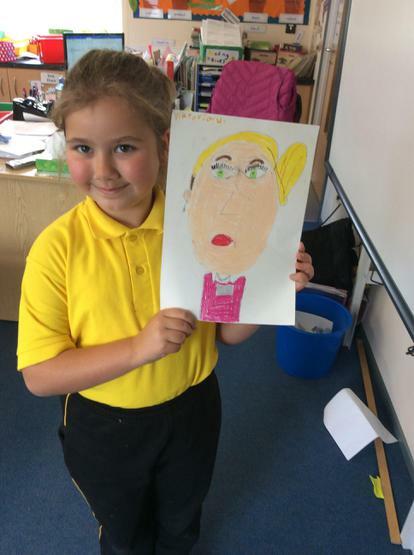 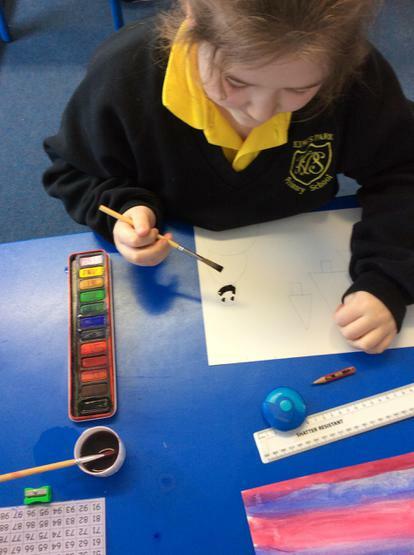 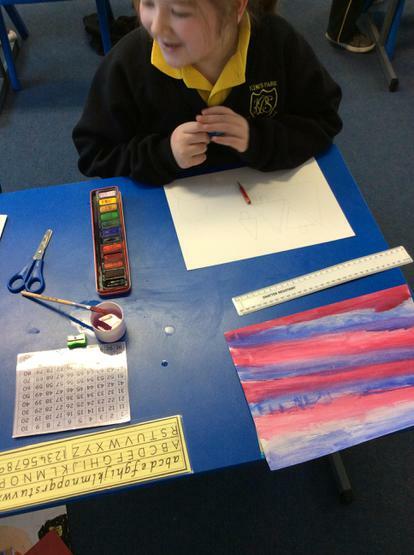 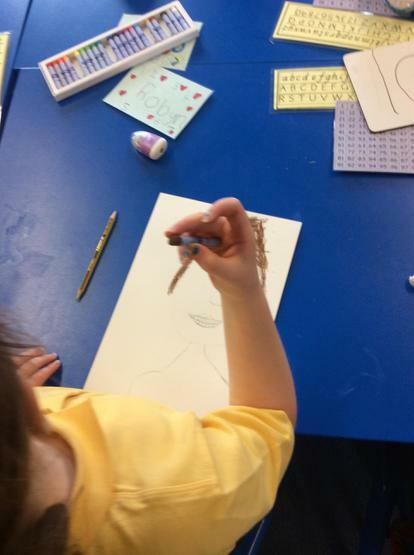 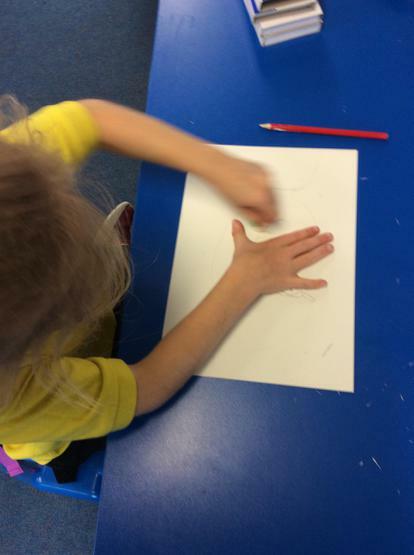 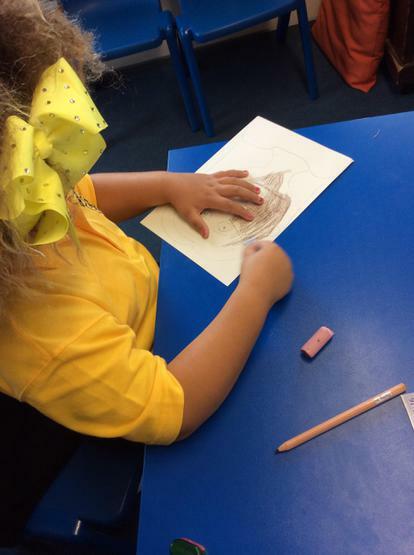 We have been very busy and have also drawn our own portraits with pastels.